Owning a scooter in Eastleigh is a convenient way to explore this beautiful town and saves you a lot of stress. Also, scooters offer you the comfort and independence to commute in Eastleigh at your leisure. People choose scooters over cars or bikes for several other reasons. Here are some. Easy to Learn: If you are looking for a convenient transport option that is easy to learn, then scooters are your best shot. They are easier to handle than cars and require less training or certification. Faster in Traffic: Scooters can slip through tiny gaps in traffic a lot easier than cars can. Fuel Economy: Both 50cc and 125cc scooters can run on little fuel for days, helping you cut cost on fuel. Insurance: At Direct Bikes, we won't let you stress yourself with finding the juiciest scooter insurance deals; we will help you do that. Price: Our wide range of 50cc and 125cc are very cheap. We will also allow you to pay in instalments if you can't afford to pay the whole sum at once. Design: Direct Bikes scooters are designed in varying sizes, styles and colours and are customisable to suit your needs. Whenever and wherever you need your scooter in Eastleigh, we will get it to you. No middlemen, no unnecessary charges! 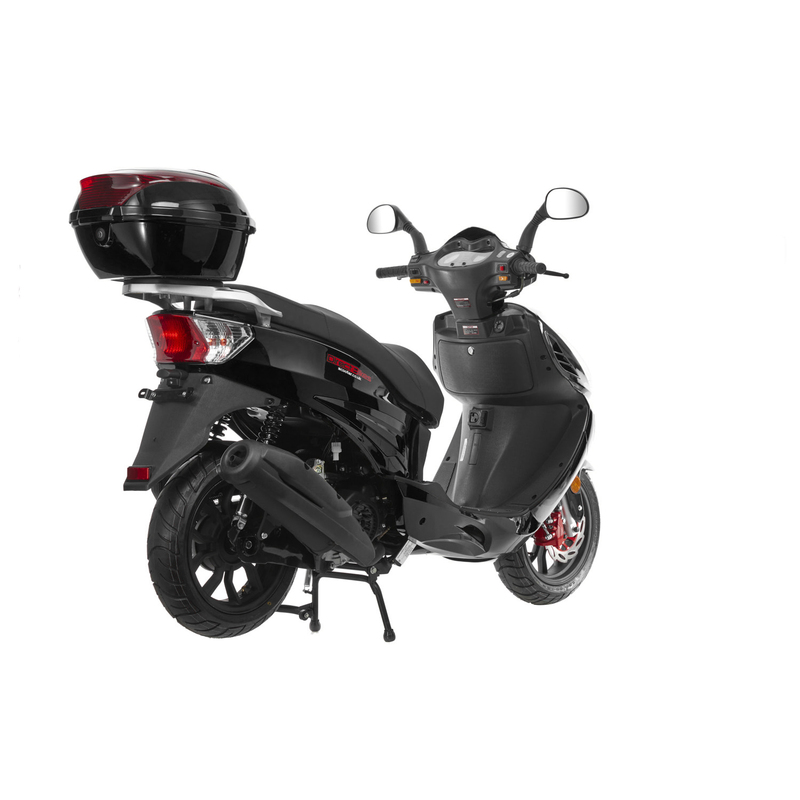 Simply fill in your delivery information during payment to ensure that we deliver your scooter to you!